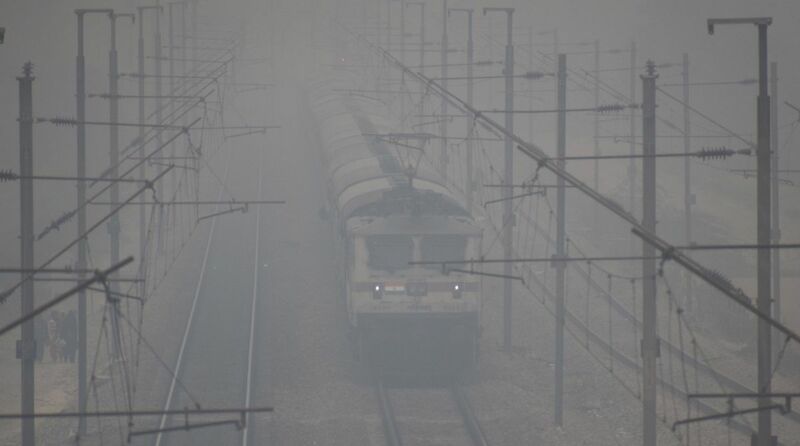 At least 10 trains were delayed due to a dense fog that covered Delhi and its surrounding areas on Friday, which caused visibility to remain at zero for a few hours in the morning. Among the trains delayed were the Puri-New Delhi Purushottam Express, which was late by over six hours, while Gaya-New Delhi Mahabodhi Express and Howrah-New Delhi Poorva Express reported a delay of more than five hours. The India Meteorological Department (IMD) said the visibility in Palam area dropped to zero between 4.30 am and 6.30 am, and improved to less than 50 metres till 8.30 am. It got a little better after 9.30 am, to 50 metres — the range required for an aircraft to land. Flights operations were also severely affected at the Indira Gandhi International (IGI) Airport due to the low visibility. According to latest reports, at least five flights were diverted and departures were affected till 10 am, even as airlines said consequential delays and possible cancellations were likely throughout the day. Visibility low due to intense fog in the border areas and area around India Gate in Delhi. Drive with caution. Maintain moderate speed. Drive with headlamps switched on. The minimum temperature in Delhi was recorded at 4.8 degrees Celsius on Friday, two notches below the season’s average, while humidity level was recorded at 100 per cent at 8.30 am. There will be shallow to dense fog throughout the day, according to the weather office. The air quality in Delhi and adjoining areas turned ‘severe’ with toxic PM2.5 and PM10 being the major contributors. According to the Central Pollution Control Board (CPCB), the overall Air Quality Index (AQI) was recorded at 411.